Download Fonts : Graphic designers and web designers, your long search for beautiful free fonts is over, we have included some royalty free fonts for free download. If you want to make your website look professional, incorporate these beautiful free fonts to make them unique. 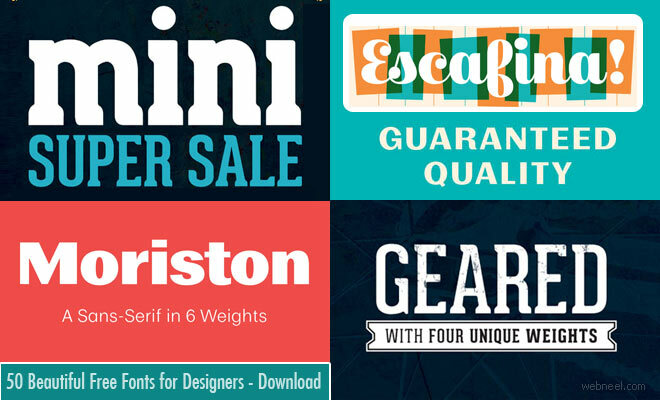 This is the best place to download free fonts as we have collected the most amazing free fonts which can be used for all kinds of web designing. In this post we have added the most beautiful free fonts for your inspiration. You can use these free fonts as the base design for preparing your designs. Hope you like these professional fronts. Cylburn is a semi-connected script structurally based on Roundhand but written with a pointed brush and restrained tension that separate it from its traditional roots. Dai is a classically trained painter turned type designer, who incorporates core art principles into his unique work. Adding contrast to a conversation makes your voice stand out. Moriston is a sans-serif grotesque available in 6 reliable weights, with support for over 200 languages and a variety of additional number styles.